To set up your AirMovers.com account for tax exemption status, please fill out the Tax Exempt Form below and submit your name, email, phone number, and organization name. Once the information is submitted and verified, a member of our Customer Service Team will update your account. If you do not have an account set up, our team will set up an account on your behalf and provide you with login credentials. Users should anticipate an estimated response time of one business day, Monday - Friday, during standard business hours. Once your account it set up, your tax exempt status will be applied to all future qualifying AirMovers.com purchases. Thank you for completing the Air Movers tax exempt application. 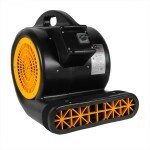 A Air Movers representative will be contacting you soon.